A study that will be published in the June 2018 issue of the ACTA Scientific Journal titled ‘Evaluation of Chemical and Physical Changes in Different Commercial Oils during Heating.’ has revealed that Australian extra virgin olive oil is the safest oil for cooking. The study looked at the processes of all the man cooking oils. When cooking oils are exposed to heat, oil degradation occurs, and by-products are produced (free fatty acids, secondary products of oxidation, polar compounds). Some by-products of oil degradation have adverse effects on health. Extra virgin olive oil (EVOO) and other common cooking oils were heated up to 240o C and exposed to 180o C for 6 hours, with samples assessed at various times, testing smoke point, oxidative stability, free fatty acids, polar compounds, fatty acid profiles and UV coefficients. 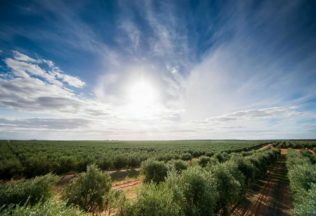 EVOO yielded low levels of polar compounds and oxidative by-products, in contrast to the high levels of by-products generated for oils such as canola oil. EVOO’s fatty acid profile and natural antioxidant content allowed the oil to remain stable when heated (unlike oils with high levels of poly-unsaturated fats (PUFAs) which degraded more readily). EVOO was shown to be the oil that produced the lowest level of polar compounds after being heated closely followed by coconut oil. It was previously rumoured that olive oil has a low smoke point and is therefore not appropriate for frying. The main supermarket oils that are available in Australia that underwent two cooking trials to see how stable they were and how likely they were to break down and produce harmful “polar compounds” Extra Virgin Olive Oil was shown to be the safest and most stable oil to cook with. Canola Oil, Grapeseed Oil and Rice Bran Oil were shown to be the least stable and most likely to produce harmful “polar compounds”. This was an interesting result given they are marketed for their high smoke point and suitability for cooking. Polar compounds are produced when an oil breaks down under heat. Evidence shows polar compounds are harmful to health and they have been linked to conditions such as Alzheimer’s and Parkinsons Disease. In industrial kitchens, the percentage of polar compounds remaining in cooking oils (after repeated use) is tested to determine when an oil is no longer safe for human consumption, and the oil has to be discarded. The smoke point did not correlate well (was a poor predictor) with a percentage of polar compounds produced. AEVOO was the most stable oil of those tested – in both tests, AEVOO yielded lower levels of polar compounds and trans fats when compared with other oils. Canola oil, Grapeseed Oil and Rice Bran Oil performed the worst and produced very high levels of polar compounds and trans fats.